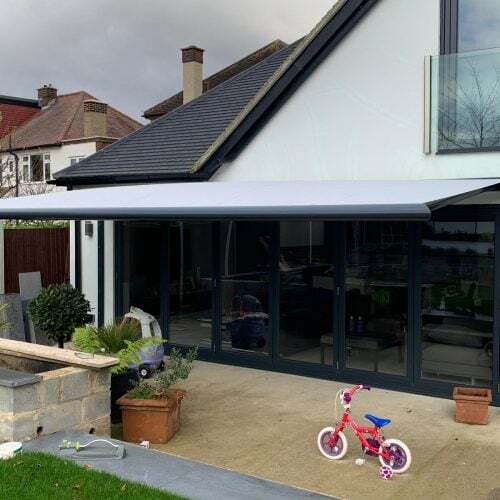 The Weinor Zenara awning is unique in design and specification. 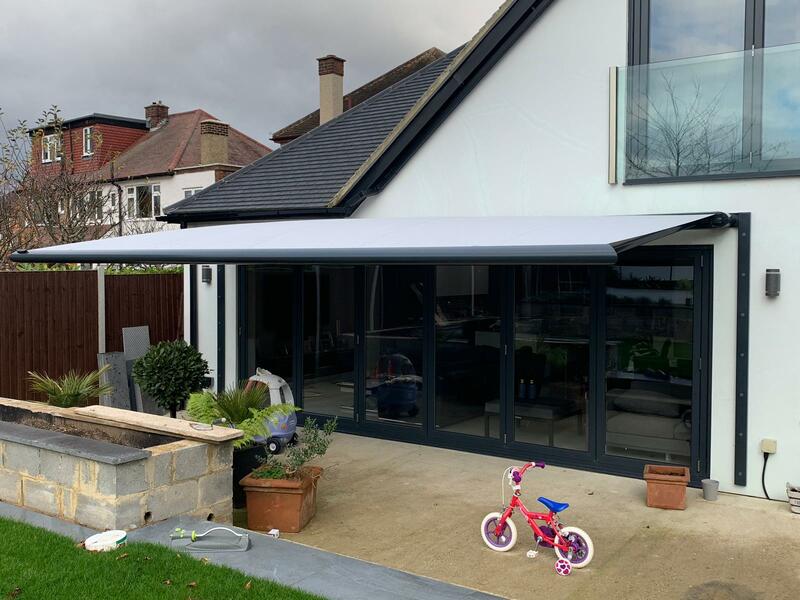 The design is an end fixed awning that can span up to 6.5m and project up to 4m. 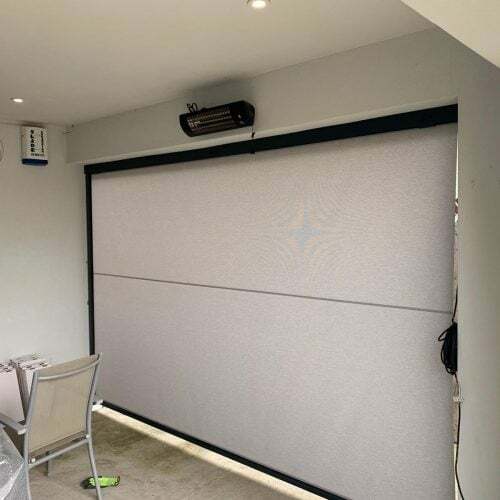 Operated by wireless remote control there is also an option for fully dimmable LED lights. There are also hundreds of different fabrics to choose from. This client also had installed a Veritex vertical screen for the side of the house that also gets baked by the sun. 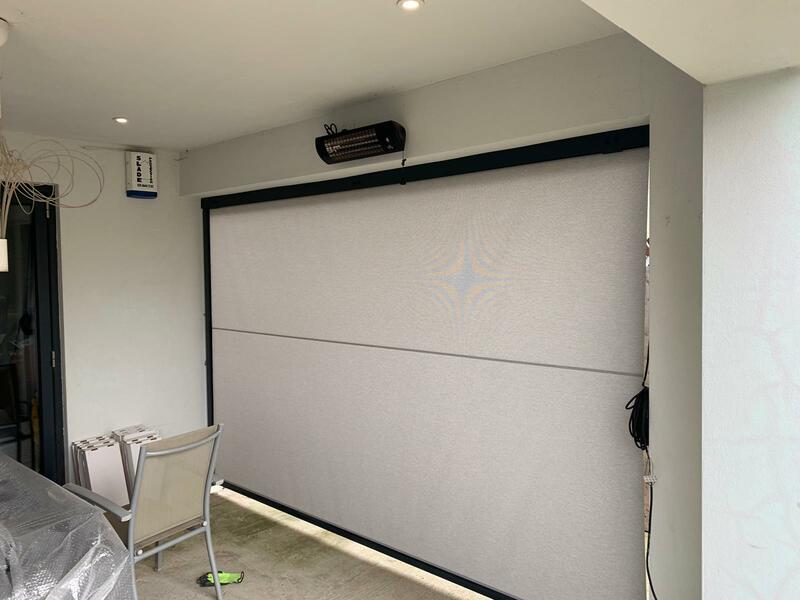 The Veritex system is an external roller blind that can cover large areas.